Announcements & Events - The Woodbridge Park Association, Inc. The Woodbridge Park Association would like to invite you to participate in the Notable Tree Project. Do you know of a tree in Woodbridge that may be ‘notable’ for its size, age, unique nature, or historical significance? Please use the attached form to nominate your tree! Details of this project follow. The organizational meeting of the 2017 Woodbridge Notable Tree Project was held at 1:00 PM on Sunday, December 11, 2016 at the First Church of Christ Parish House in Woodbridge. 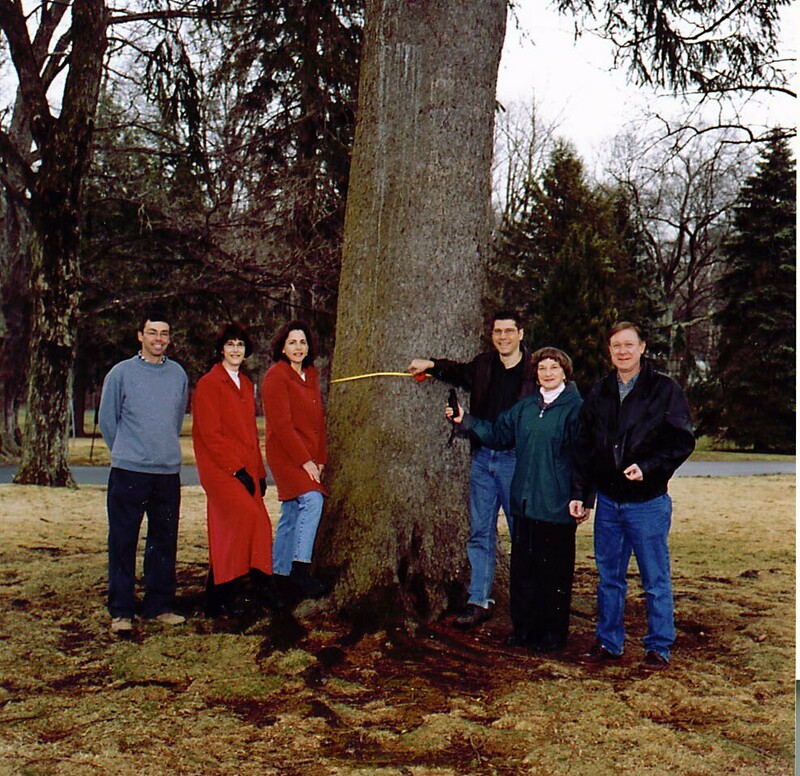 A prior project started in 2004 to survey notable local trees. While the project was abandoned in 2006, the idea of such a survey has remained an objective of several local environmental organizations including the Woodbridge Park Association. Rich Forselius was approached by Paul DeCoster, a local resident, to start a local program to restore the tree survey but with the additional goal of promoting the listing of local trees in the Connecticut State Notable Trees listing program sponsored by the Connecticut College Arboretum. The project is being conducted with the sponsorship of the Woodbridge Park Association, the Woodbridge Land Trust, the Amity & Woodbridge Historical Society and the Woodbridge Garden Club. Members of these organizations were present at the organizational meeting and are being asked to participate as volunteers in the Program. Boy Scout Troop 907 and local girl scout troops will also recruit members to work on the program. We are connected with Glenn Dreyer, director of the Connecticut College Arboretum and leader of the Connecticut Notable Tree Project (CTNTP). 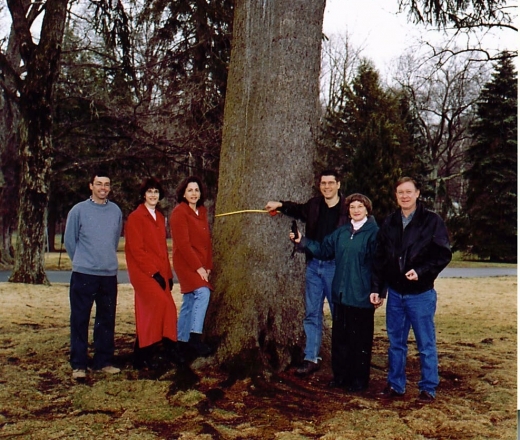 For over 35 years the CTNTP has identified and listed on its registry over 10,000 trees of some 135 native and exotic species throughout the state as Connecticut Notable Trees. Mr. Dreyer provided us a briefing on the activities and history of the CTNTP as well as advised us how to manage our own notable tree project in Woodbridge. The CTNMP was started in 1985 to survey trees of native and exotic species in the state that are worthy of recognition because of their extraordinary size or historic significance. In its 30 year of existence, the Program has listed over 3,500 trees both by species and by town location, and its records now include GPS siting data showing the location of these trees. Several factors will be critical to the success of the Woodbridge Notable Tree Project. These include the nomination of specimens for inclusion in the local and state listings; the preparation and posting on the sponsoring organizations’ websites of forms to be used for these nominations; the promotion of the program by publicity to let local residents know about the project and to encourage their nomination of candidates for listing and their work as volunteers; the training of the volunteers in identification and measurement of the nominated specimens; and the provision of equipment and manuals useful in making these identifications and measurements. The nomination form is being made available to Woodbridge residents. (ii) the listing by the CTNTP of those local trees deemed of sufficient stature and importance as Connecticut Notable Trees. We are interested in recruiting and training of volunteers to identify the species of the nominees, and measure and photograph them; the preparation and maintenance of a Woodbridge Notable Tree Registry; and the nomination of worthy specimens for inclusion in the CTNTP registry as Connecticut Notable Trees. If you are interested in assisting, please contact me and Paul DeCoster using the email address president@wpa.dev.tnis.biz:8888.